Debian based Linux distribution CrunchBang Linux 11 has been released. Dedicated to the speed-obsessed Ubuntu fans, CrunchBang Linux 11 alias “Waldorf” is also dubbed by the project manager as “the most thoroughly tested CrunchBang release to date”. Maintaining it’s low-drag, no extra fluff tradition CrunchBang 11 is said to be as stable as the underlying Debian 7 “Wheezy”. 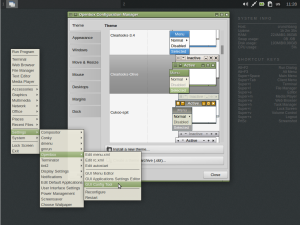 CrunchBang Linux 11 has many of the same default apps like it’s lower-scale Ubuntu-based cousin Xubuntu. 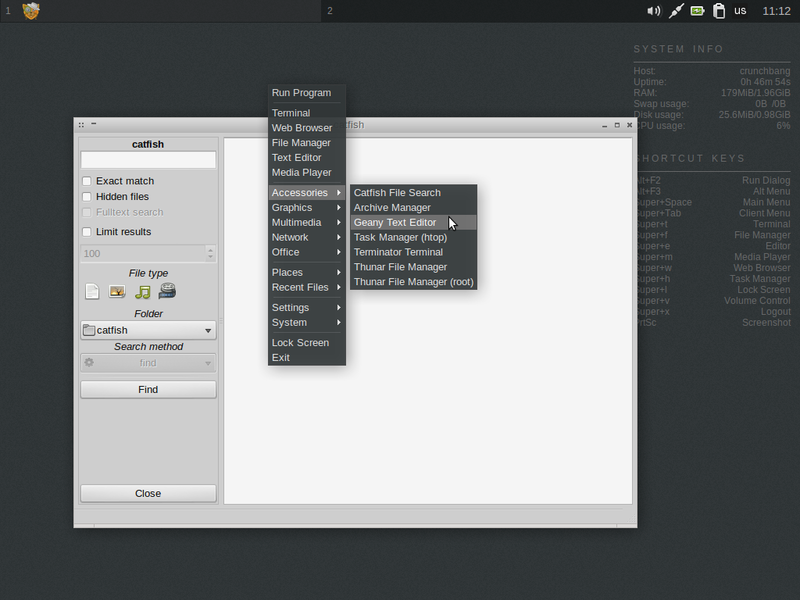 Major default applications include; Iceweasel web browser 20 with per-windows private browsing, Transmission, GIMP image editor, Catfish (search tool), Thunar, and the lightweight Openbox window manager, designed for low-end machines. – Carefully woven into CrunchBang 11 is the VLC media player v.2.0.3. 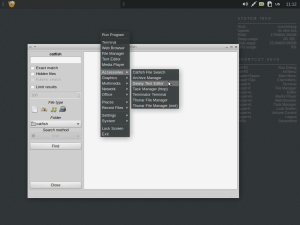 – Package management is handled through the Synaptic tool familiar to any Ubuntu user. – Openbox platform has its own configuration tool, obconf, that supports themes and tweaks lots of other stuff. Minimalistic CrunchBang is perfect for thumb drives and live CDs. The downloadable iso file is no larger than 730MB so it fits in traditional CDs. The Live boot is quick and fast and permits live installation of apps. Installing the Opera web browser in the LiveCD was blazing fast, and running it was even faster.